This one did. It was 97,000 mile 2000W 75 1.8 Club SE and made £2,300. 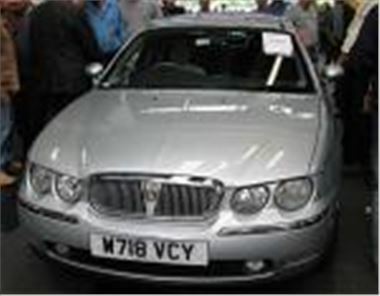 Another 75, a 98S left hand drive but 22k mile and immaculate 75 1.8 Club with satnav confounded the vultures by selling for £3,375. In contrast, almost everything readily saleable was expensive. A special event on Wednesday 7th July is the first sale by Mazda of 20 Mazda 6s, and these sales will repeat every first Wednesday of the month at 11.00am.